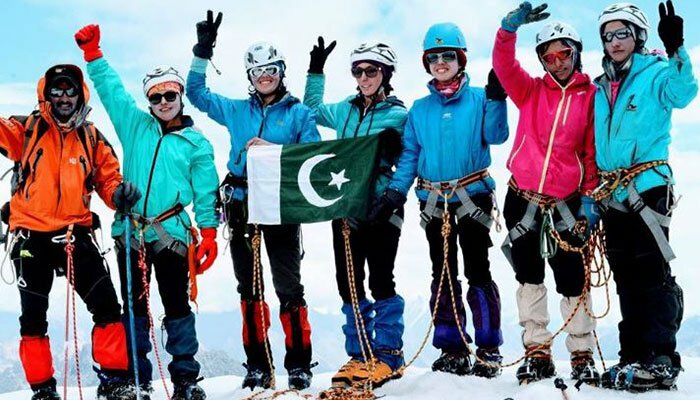 HUNZA: A group of 6 girls were able to reach the summit of 5300m Shifkteen Sar in Shimshal Valley, Hunza on Tuesday. The first female team to have reached the top climbed up from the peak’s north side. 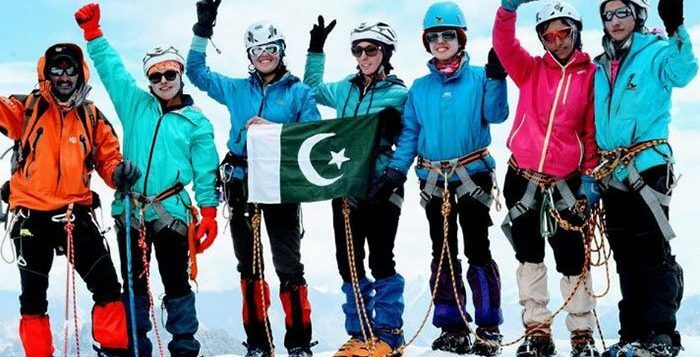 The team, all students of Shimshal Mountaineering School, included Hafeeza Bano, Afasana Shahid, Shakeela Numah, Nadeema Sehar, Samreen Afiyat, and Zubaida Waheed. 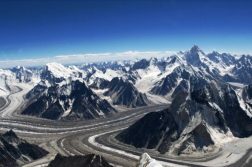 On July 29, three young Pakistani girls earned themselves a world record by scaling the 6,080-metre Manglessar peak in the Shimshal valley in Karakoram mountain range. 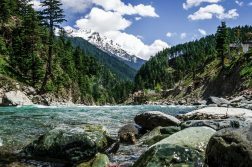 Hailing from the Hushey valley of Gilgit-Baltistan, 13-year-old Amina Hanif, 14-year-old Maryam Bashir and 15-year-old Siddiqa Batool are granddaughters of famous mountaineer Little Karim. Accompanied by their grandfather on the incredible yet arduous summit along with nine other climbers and four foreigners, the girls set foot on the Manglessar peak on July 24. The trio started their expedition on July 16 and reached atop the Manglessar peak on July 24. 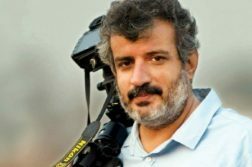 Their grandfather Little Karim, a globally-renowned mountain climber, said that he launched this campaign to encourage more women from Gilgit-Baltistan to take interest in mountaineering. Karim set the world record of carrying 50 kg (110 lbs) over 8,000 meters (26,240 Ft) on his back. 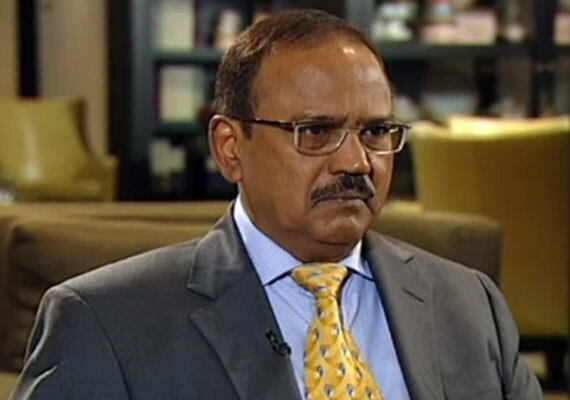 He has also had the honour of climbing Mount Godwin-Austen at 8,611 meters (28,251 ft) above sea level nine times.